Both accurate system identification and high-performance controller design are necessary for precision motion systems. 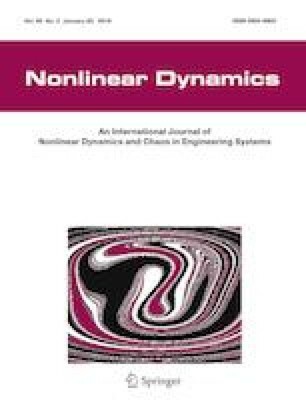 This paper first considers the unavoidable issue of nonlinear friction effect on traditional frequency identification widely used by practicing engineers and simultaneously presented an improved identification method with nonlinear friction compensation, which has two freedoms to guarantee an accurate estimation of the frequency response of the underlying linear dynamics in practice. The effectiveness of the proposed identification method is verified through different experimental platforms, which also shows the applicability of the proposed method to different kinds of dynamics subjected to nonlinear friction. An adaptive robust controller (ARC) is then synthesized to obtain a guaranteed robust performance in the presence of various uncertainties. Furthermore, with the obtained identification results, certain gain tuning rules are given in the paper to help engineers choose proper ARC controller gains quickly to maximize the achievable control performance in practice. Comparative experimental results obtained show the excellent tracking performance of the proposed ARC algorithm, which also validates the practical significance of the proposed frequency identification method. This work was supported by National Natural Science Foundation of China (Nos. 61603332, 51475412 and 51875508) and Science Fund for Creative Research Groups of National Natural Science Foundation of China (No. 51521064).